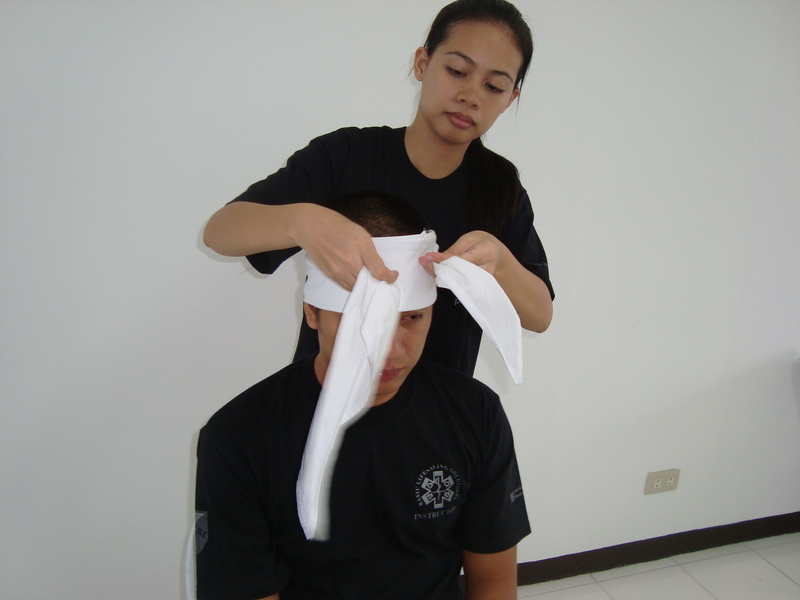 The forehead bandage application can be applied in different areas of the forehead. 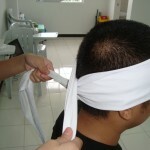 Ideally, the center or apex of the bandage should be placed on the injured area. Please be advised that a dressing must be placed first before the bandage is applied. The illustration below does not include the dressing. 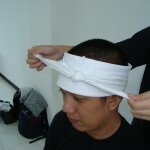 Place the center or apex of the bandage on the injured side. 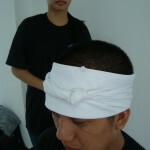 In this case, the assumed injured area is the left forehead (figure 1). 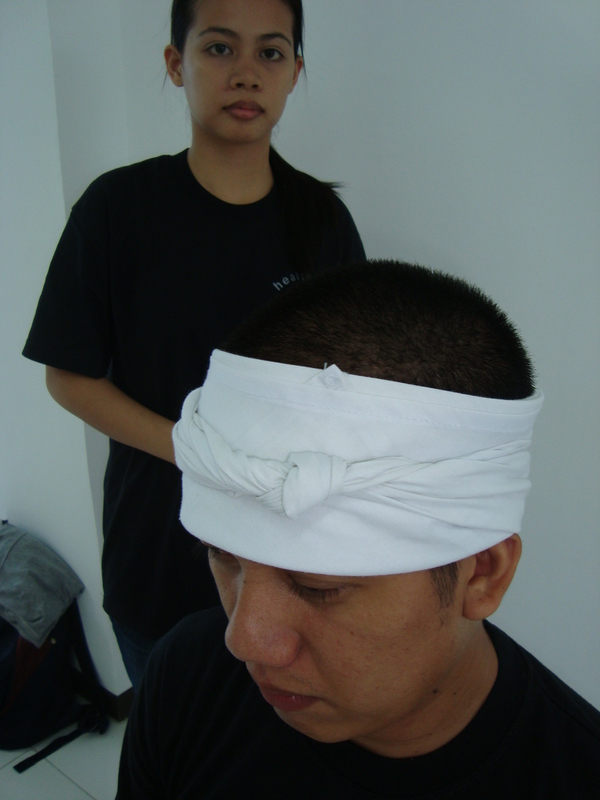 Once the points are in the front of the forehead bring them together just fronting the injured area (figure 3). 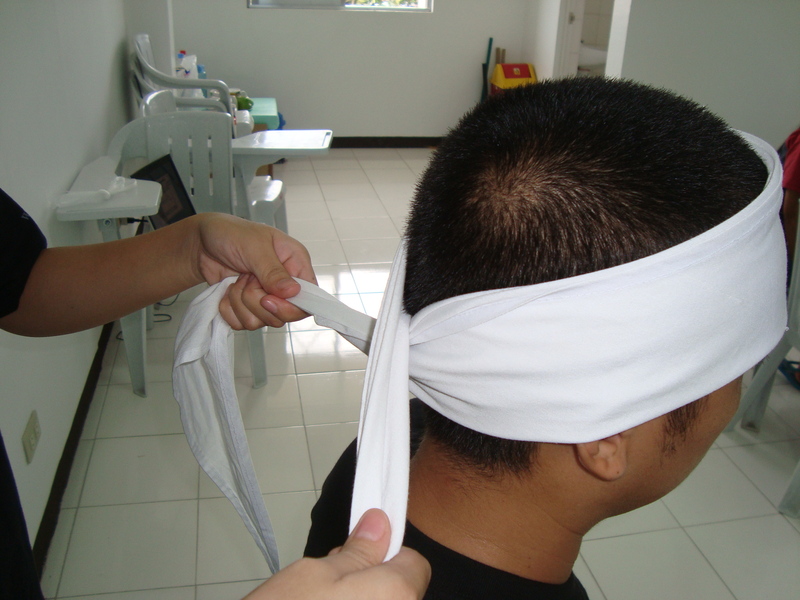 Make the square knot directly over the injured area (figure 4). 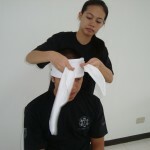 This will apply pressure on the dressing (figure 4). Remember not to apply to much pressure if a fracture is noted on the injury. 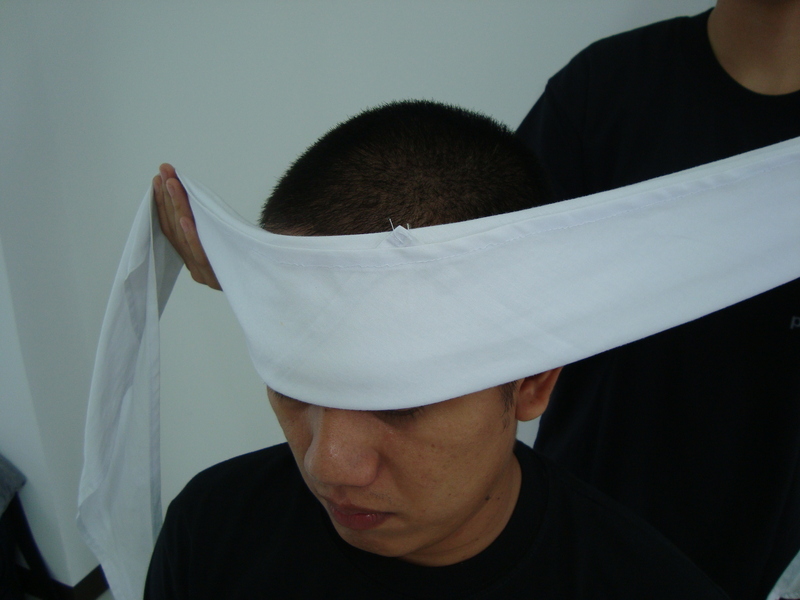 The forehead bandage application (figure 5). 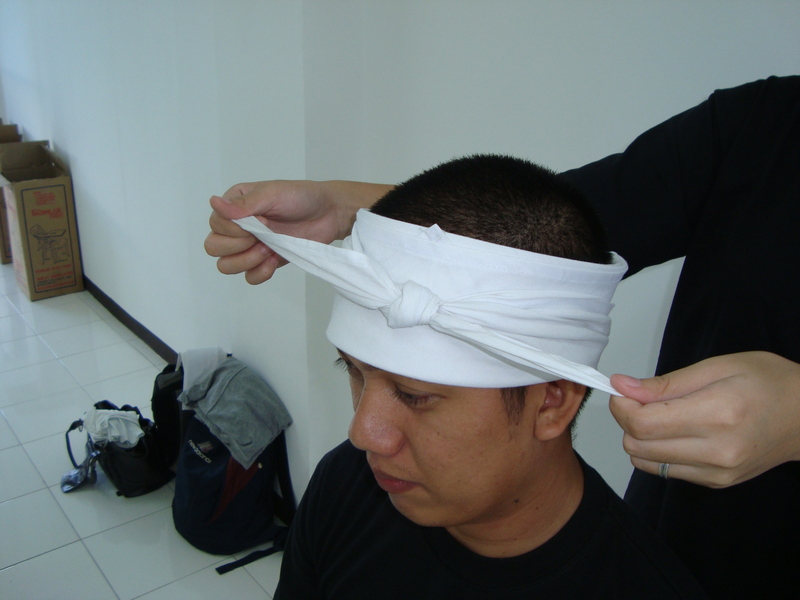 Notice that the apex indicates the injured area and the square knot applies the pressure on the dressing underneath.